Thank you to all our 2018 presenters. As the chief staff officer at VQA Ontario, Laurie oversees the management and operations of the Province’s wine authority. VQA Ontario administers the Vintners Quality Alliance Act and associated regulations that establish an appellation of origin and quality assurance system for Ontario VQA wines. VQA certification and branding provides consumers with label integrity and the industry with a foundation to build consumer confidence in local wines. Laurie has been with VQA Ontario since its inception in 2000 and seen the Ontario wine industry establish an international presence and more than triple in size. 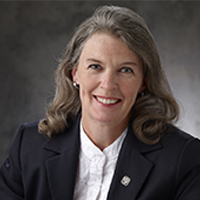 Before joining VQA Ontario, Laurie was Registrar and CEO of Professional Engineers Ontario, responsible for the regulation of the practice of engineering in Ontario under the Professional Engineers Act. Trained as a mining engineer, Laurie started her career in the mining and consulting engineering sector. Dr. Joseph A. Fiola has over 30 years of academic experience in research and extension in viticulture (grape growing), winemaking, and small fruit production. He is currently the Specialist in Viticulture and Small Fruit for the University of Maryland Extension (since 2001), following being in a similar position at Rutgers from 1988 to 2001. Joe is responsible for a statewide viticulture extension program working with new growers on proper establishment, planting the best suited varieties, and working with experienced growers to maximize fruit and wine quality. His research and demonstration program concentrates on variety testing, including varieties imported from great winegrowing areas around the world, and includes small batch winemaking to complement the variety research. He has a comprehensive website and distributes “Timely Viticulture”, a newsletter electronically delivered at the exact time growers should be considering and /performing specific practices. He has recently published a workbook on Sustainable Viticulture and always emphasizes practices to maximize fruit quality. He is a major cheerleader for East coast wines! 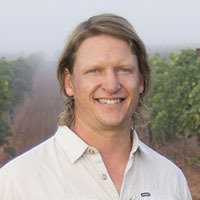 Cain Hickey is an assistant professor and viticulture extension specialist in the Horticulture Department at the University of Georgia. He has been involved in viticulture research and extension since 2007, when he was employed at the Penn State Lake Erie Regional Grape Research and Extension Center. 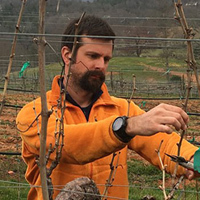 After graduating with a BS in Horticulture Science from Penn State in 2009, Cain began his graduate studies in viticulture at Virginia Tech, earning his MSc in 2012 and PhD in 2016. He was a post-doctoral research associate at the Cornell Lake Erie Regional Extension Laboratory from 2016-2017. His research focuses on applied viticulture, and has been recently focused on pruning, trellising, and fruit-zone management as they relate to crop yield and quality. He has presented at academic and industry conferences and developed extension workshops. Cain is working with members of the Georgia grape and wine industry to solve regional vineyard management issues through his extension and research appointment. Mark Hoffmann is Assistant Professor and the Small Fruits Extension Specialist in the Department of Horticultural Science at North Carolina State University (NCSU). He started his position in July 2017 and has extension and research responsibilities for the bunch grape, muscadine and strawberry industry. 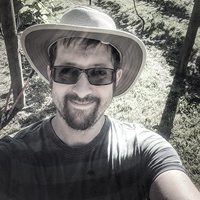 He is of German origin, has lived in the U.S. since 2013 and in North Carolina since 2017.His program currently focuses on (1) the development of extension services, products and teams to serve the industry in the state of NC, and (2) the exploration and communication of knowledge, emphasizing research on the management of vine health in different pathosystems. Roger Kissling worked with Gallo for a number of years in different roles, and also spent 5 years as vineyard manager and assistant winemaker of a 15,000 case per year winery. He is a Certified Sommelier, Certified Specialist of Wine, Certified Specialist of Spirits, and holds WSET Intermediate Certification. Ironheart Canning was founded on a mission to help small and middle-market breweries offer a superior level product in a competitive platform. Roger joined the company in March of 2018 as the company began to expand to serving other beverages. As wine in cans is a growing market trend, Roger will share how mobile canning can be the solution for you to take advantage of this trend and learn about many important technical aspects of quality mobile canning. 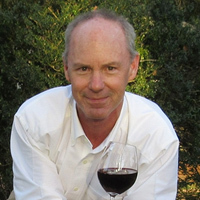 Tom Payette is a Winemaking Consultant assisting wineries on the East Coast and other regions. Tom is hands on and he understands wine from the vineyard through to the consumer. Winery start-ups is a specialty with a focus on the proper buildings, with ergonomic winemaking infrastructure, for the business. 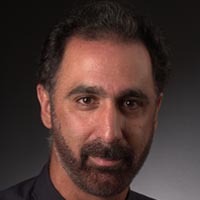 His long term standing in the business ( Both Napa and East Coast ) brings a huge depth of wisdom, experiences and ways to avoid costly pitfalls / issues. Experience, knowledge and wisdom with winemaking production processes. With a Bachelor’s degree in Biology with minors in Chemistry and Geology from Adams State College in Colorado, Matt’s first job in the wine industry was in 1998 working for United Distillers and Vintners in the Sonoma laboratory, which encompassed all aspects of the natural sciences. Matt discovered his passion after moving to Manteca in the Central Valley and embarked on a career in production winemaking. Matt then spent seven years making wine on the North Coast and returned to the Lodi region in 2010 where he has set down his own roots. Matt consults for two small premium wine brands in Lodi, and brings to his Laffort territory perspectives of large and small scale winemaking at all quality levels. Elizabeth (“E”) Slater is a much sought after trainer and speaker at wineries and conferences throughout the United States and Canada. She’s noted for her extensive customer engagement and sales expertise and practical tasting room and wine club knowledge. Her enthusiasm, humorous delivery and easy rapport with winery staff and management have made her the number one choice for both new and established wineries. E’s ability to engage and connect with her audience is infectious. Her training sessions deliver superior results that are easy to implement. After working hands-on in the viticulture industry since 1999, Fritz Westover founded Westover Vineyard Advising in 2015 to provide consulting services and education to wine growers across the southeastern US. Fritz advises growers across 6 states encompassing more than 1500 acres of vines. Fritz holds a BS in horticulture from Penn State University as well as an MS from the Penn State Department of Plant Pathology. Prior to founding Westover Vineyard Advising, Fritz worked both internationally and across the US in a variety of viticulture related roles including positions with the Texas A&M AgriLife Extension Service, Virginia Tech, and the Vineyard Team in California focusing extensively on developing viticulture education and research programs. In 2018 Fritz launched Virtual Viticulture Academy, a new learning service from Westover Vineyard Advising, to meet the biggest need grape growers have… access to practical, timely, expert viticulture information on a single, easy-to-use, interactive platform.